I have written before about reusing wood stove ashes for sanding but just had to post again about this great idea. I just cleaned out our wood stove and got a full bucket of wood ashes. 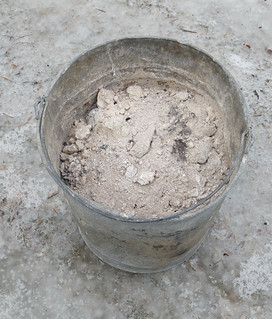 Here is a quick picture of just how far this one bucket of wood ashes will go towards sanding. This hill as you can see is steep. It tends to get icy and we need some added traction at the crest of the hill. Just by adding wood stove ashes, it really does help with traction. Plus the wood ashes melt down in the snow and help with ice build-up. Fireplace and woodstove ashes have many uses. 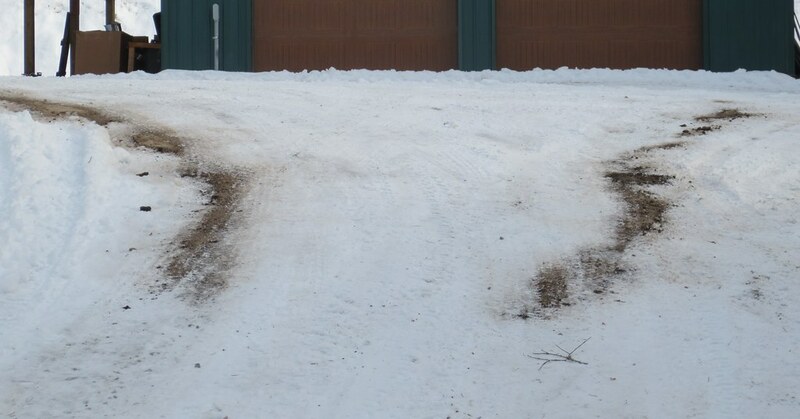 I’m going to share one very useful way I reuse my wood ashes to sand my icy road. First clean out your ashes from your woodstove or fireplace. Always use a metal pail or container as ashes can still be hot and have ciders that can cause a fire if you place them in non-metal container. Immediately take your pail outside to avoid any fire hazard in your home or porch. Never store wood ashes near your home as they can cause combustion with other materials and start a fire.